Each of our surgeries has a dispensary from where all patients who live more than 1 mile from a chemist can obtain their medication. If you are one of the few "non-dispensing" patients who live within 1 mile of a chemist, you will be given a signed prescription. Alternatively if you provide a stamped addressed envelope we will be happy to post it to you. All of our dispensers will be pleased to answer any queries you have about your medication. Should they be unable to help, they will seek advice from your doctor. Please telephone with queries after 10:30 as the dispensary will be a little less busy at that time. A repeat prescription consists of one month’s supply of medication and this is only increased in special circumstances on your doctor’s authorisation. Please order your repeat medication by ticking the boxes of the required items on the prescription counterfoil and dropping it into your dispensary. A post box for repeat prescriptions is provided at each site. Alternatively you can post or fax your counterfoil to Hemyock Surgery on 01823 680680 and pre-addressed envelopes can be supplied on request. Telephone requests will only be accepted if previously agreed with the dispensary. 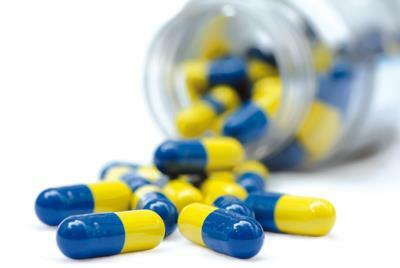 You will be required to make an appointment for a medication review at regular intervals. The date that your review is due is printed on your repeat prescription counterfoil. Please allow 72 hours, (i.e. three working days), before you collect your medication as some items may need to be ordered and each prescription has to be checked and then delivered to the appropriate surgery. If posting your repeat request please allow for delays in the post – remember, we need 72 hours from receipt of the request. Please remember to only use medication prescribed in your name, and to keep all medicines out of the reach of children. If you have any unused medicines please return them to your dispensary where we will dispose of them safely or send them to third world countries. You can now order via our secure service. If you are already using this system, please click on the link at the top of this page to order online. If you would like to use this system, please ring your usual surgery and ask them to print Registration Details for you. Please then go to the surgery with photographic identification (e.g. passport or driver's licence) and proof of address (e.g. a utility bill) to collect these details. You can then register for and use Patient Access. whilst this is a secure website, there may still be a risk that access could be obtained by unauthorised parties. I am prepared to accept this risk as my responsibility. if the system fails to deliver my request in time, then my prescription may not be ready. the use of the Internet is not entirely reliable due to problems with equipment beyond the control of the Blackdown Practice. website repeat prescription requests will be checked at 11:45 each day and anything received after this time will be carried over into the next working day. Medications will be ready to collect 3 working days after receipt of the request. this form of communication is my choice and that the Blackdown Practice cannot be held responsible for any delays due to these problems outlined above.